Prof. Dr. Hala M. Ezz EL Dein Hamed is a Physical Therapy Professor since 2008. She received her BSc, MSc, and PhD degrees from the Faculty of Physical Therapy at Cairo University .Her researches focus on Cardiopulmonary Rehabitation, in particular patients with chronic respiratory disorders and the field of scientific research for elderly subjects. She is greatly experienced as a reviewer for many national and international journals in physical therapy such as the “Journal of Back and Musculoskeletal Rehabilitation” and “Journal of Advanced Research (JARE),” by Elsevier. For two consecutive years (2011 and 2012), Dr. Ezz EL Dein was honored for her contribution in qualifying the first two classes of Assistant Care Givers for Handicaped Children in association with Fatat AL Khaleej Charity Association held under the patronage of H.H. Princess Jawaher Bent Naif Bent Abdel Aziz of the Eastern Province of Saudi Arabia. 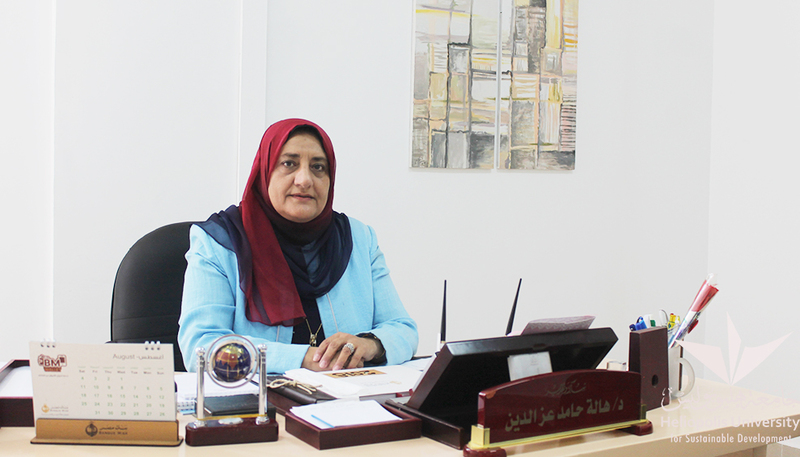 In 2012, she was awarded by Vice President of the Academic Affairs at King Faisal University (currently known as Imam Abdulrahman Bin Faisal University) for establishing a section for females in the Physical Therapy Department in the university. Upon her return to Cairo University in 2012, she was appointed as the Head of Cardiovascular/ Respiratory Disorder and Geriatrics Department where she collaborated with other departments to achieve accreditation from the National Authority for Quality Assurance and Accreditation of Education (NAQAAE). Later in 2017, the same team achieved the international accreditation of the World Confederation for Physical Therapy (WCPT). Currently, she is a member of the Physical Therapy Committee at the Supreme Council of Universities since 2016. The last post held was the Vice Dean of Community Service and Environmental Development at the Faculty of Physical Therapy, Cairo University.